Spacious, bright, gorgeous views, endless amenities! Lazy river, pools, beach! Super spacious and clean corner unit at Caribe! Enjoy lazy river, pools, slides! 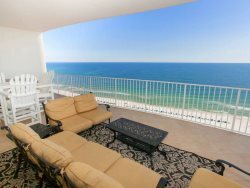 Stunning bay front condo at Caribe!! Brand new rental! Oversized, super luxury! Luxurious, comfortable, gorgeous furnishings, breathtaking view! Best amenities! Caribe 2/2: Updated, super clean, spacious, gorgeous views of beach, bay, pools! Brand new rental!! Completely updated! Gorgeous decor, awesome view! Sleeps 12!